New Zealand’s Lake Wakatipu is known for its beautiful setting between Queenstown and the Remarkables Mountain Range of the Southern Alps. Monday, a new ship took to the pristine waters of the lake as the Spirit of Queenstown began offering scenic cruises. 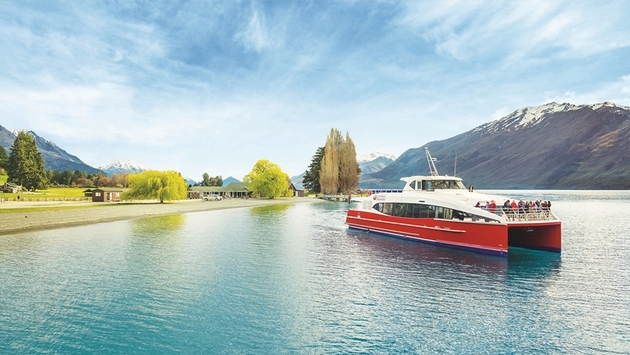 Owned by Southern Discoveries , the ship was launched on the first of four daily scenic cruises from Queenstown’s O’Regan’s Wharf. The nearly two-hour journey combines relaxation and edification as the ship sails toward Mt Nicholas and Glenorchy, with its captain explaining to passengers what they’re seeing. 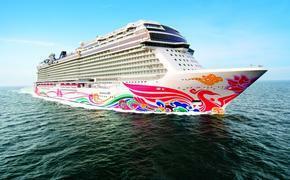 Carrying as many as 150 passengers, the ship features large windows inside and ample space on three outside decks. It has a café/bar that sells beer and the local Akarua wine. Later this month, Southern Discoveries will begin adding the possibility for passengers to get off at Mt Nicholas Station for demonstrations of sheep shearing, half-day high country hikes and 4WD safaris into the high country. Mt Nicholas has uninterrupted views to Mt Earnslaw and up the lake to Glenorchy, as well as rolling hills, hidden valleys and lakes. The Mt Nicholas Station underwent some developments in order to host the new incoming passengers. The Lake Wakatipu region is home to several locations used in the J.R. Tolkien films of Peter Jackson, including the fortress of Isengard and the Forest of Lothlorien. It was also a location in the film "The Water Horse" when it played Scotland’s Loch Ness. While the area is famous for adrenal sports, especially bungee jumping, it’s considered a heaven for trout fishermen and has spawned several top notch luxury lodges including the Matakauiri Lodge and the Lake Wakatipu Lodge.